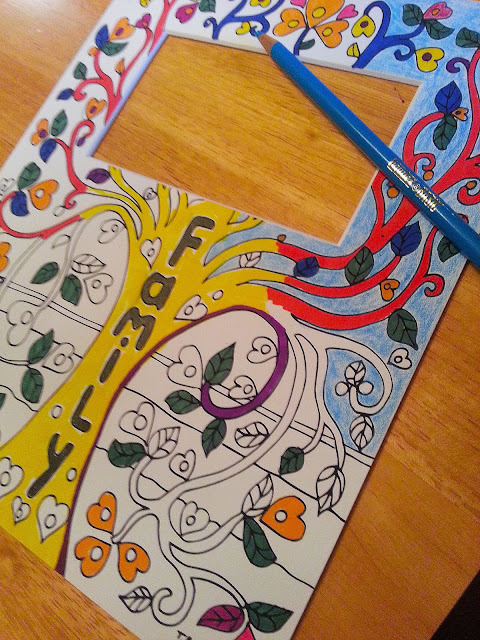 Here, I colored around a photo frame of family which has a hole in the middle to add a special 4 x 6 inch photograph. It rides on the tail of the adult coloring book craze. Coloring and water color painting can be very therapeutic and one can end up with a beautiful 8 1/2 by 11 inch colorful drawing. Magic markers work very well for a project like this!